Does your child: have a special talent you want to encourage; need guidance to explore non-standard subjects; have an insatiable curiosity about the world at large? Or is it the opposite? Do you need to find a way to somehow spark an interest in academics or bring out the creativity in your child? Consider that an independent school may be the right choice for your student. And many schools offer dynamic summer programs to help you and your child decide if a school is the right one. For overviews you can check out the websites of the Association of Independent Schools in New England (aisne.org), Independent School Association of Northern New England (isanne.org), New England Association of Schools and Colleges (neasc.org), or Association of Independent schools in New England (nais.org). For specifics we suggest you visit the websites of the fine schools listed below, and look for the one that fits your child’s needs and goals. At Bay Farm Montessori Academy, learning means exploration. Children discover that learning itself is fun from their very first days. Educating children from 12 months to age 14 (grade 8); Bay Farm is one of the South Shore’s oldest and largest Montessori schools, offering all students the excitement of hands-on learning on a beautiful nine-acre campus in Duxbury. Bay Farm provides an enriching academic environment with exceptional academic programs that are supplemented with a strong visual and performing arts curriculum, outdoor educational experiences, and a nurturing community where children grow, learn with joy, and develop the skills and experience to emerge as self-confident learners and leaders. 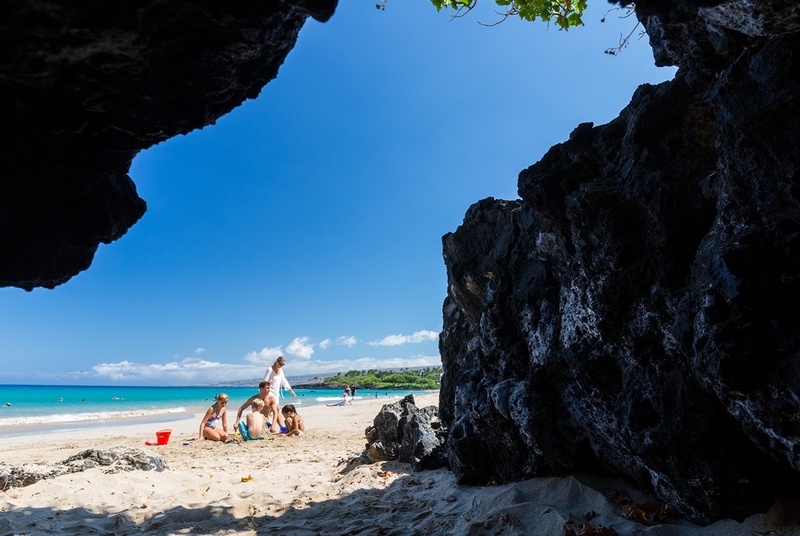 In addition, the Summer Program combines a rich blend of fun, learning and relaxation including field sports, swimming, music, and dance—all under the guidance of Bay Farm’s dedicated teachers. Start your child’s educational journey in a program that builds on children’s natural sense of wonder. Let their first steps toward learning take them down a path that truly prepares them for the future. 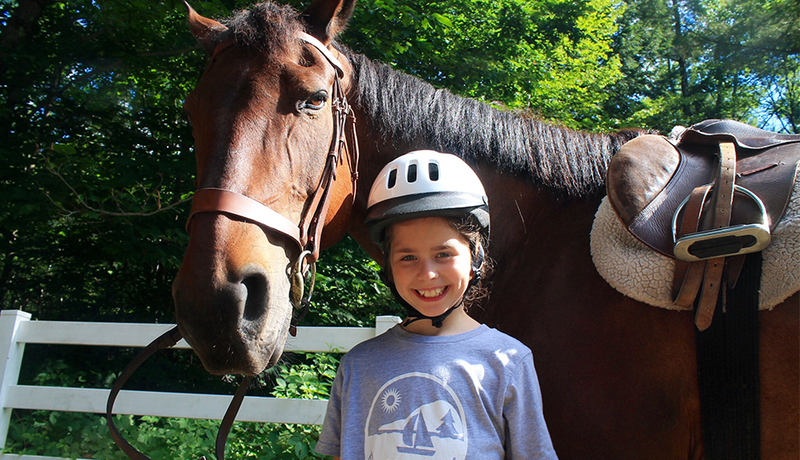 Bay Farm is dedicated to providing a well-rounded education, delivered individually. Visit bfarm.org or call 781.934.7101. 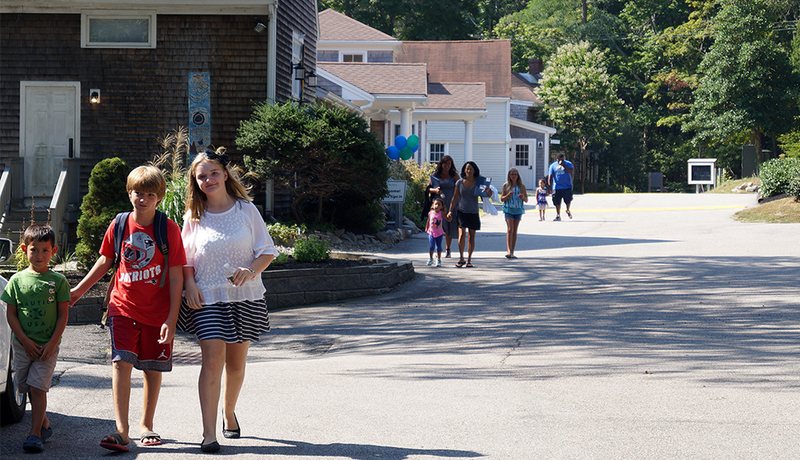 Camp Birch Hill of New Hampshire has been giving campers all of these opportunities for 25 years. With a fully elective-based program, campers can choose what each day will entail, enjoy a no-technology policy with an emphasis on trying new things and having fun. Camp Birch Hill is the perfect example of giving your child a classic summer experience by having the best time possible, summer after summer. For more information, visit campbirchhill.com or call the office at 603.859.4525. 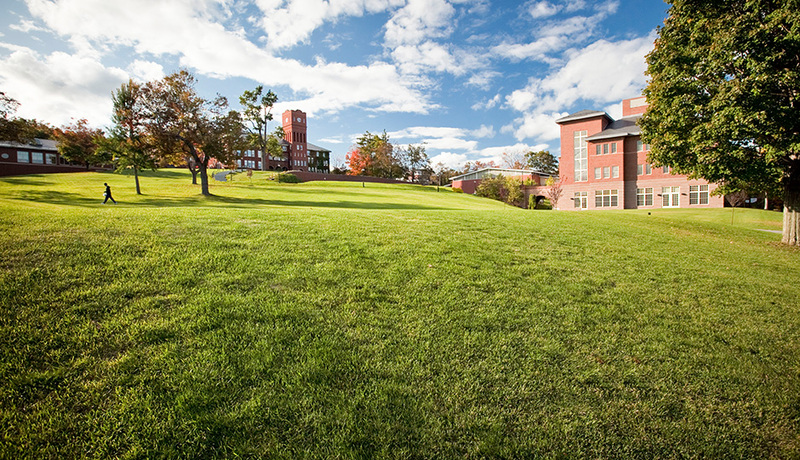 Cushing Academy, located one hour west of Boston in Ashburnham, is a forward-thinking day and boarding school for students in grades 9 through 12 and post graduate. With rigorous programs in academics, athletics, and the arts, Cushing is committed to student/faculty collaboration and creating curious, creative, and confident learners and leaders. 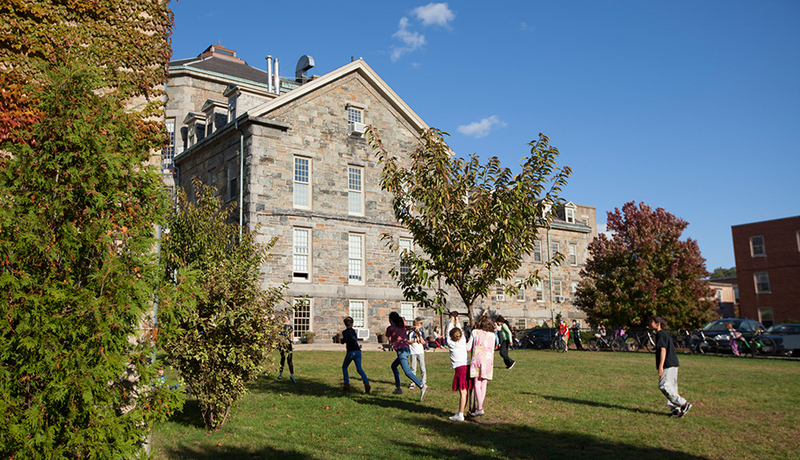 Cushing will offer its 5-week Summer Session for students ages 12-18 from July 3 to August 5 in Prep for Success (literature and writing, mathematics, robotics, ESL); College Prep (English, history, math, college advising, sciences); Studio Art; Critical Skills (English, math, study techniques); and ESL. Afternoons offer programs such as music production, Mandarin, drama, jewelry making, soccer, and basketball. 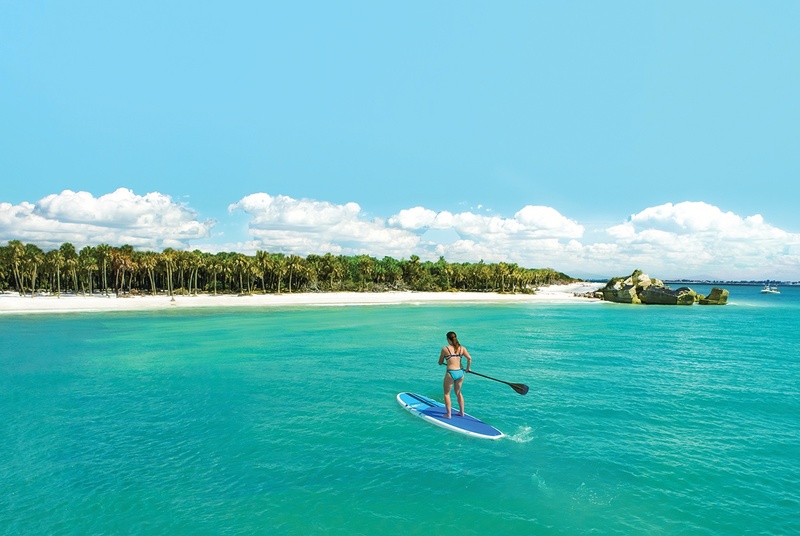 Other fun events include all-school excursions, weekend activities, educational class trips, International Dinner, talent show, art showcase, Summer Fling, and a cruise in Boston Harbor. Strongly motivated pianists are invited to the International Piano Week program July 29 to August 6. Visit cushing.org. Dedham Country Day School is more than just a school—it’s a dynamic community of students, teachers, and parents connected by a passion for learning. It’s a place where students can feel free to be themselves, take risks, and explore their individual traits and talents; where teachers recognize differences in learning styles and have the flexibility to explore a variety of educational practices designed to engage each child and encourage greatness; where parents are welcome partners in many aspects of school life, and where all can feel a sense of belonging. 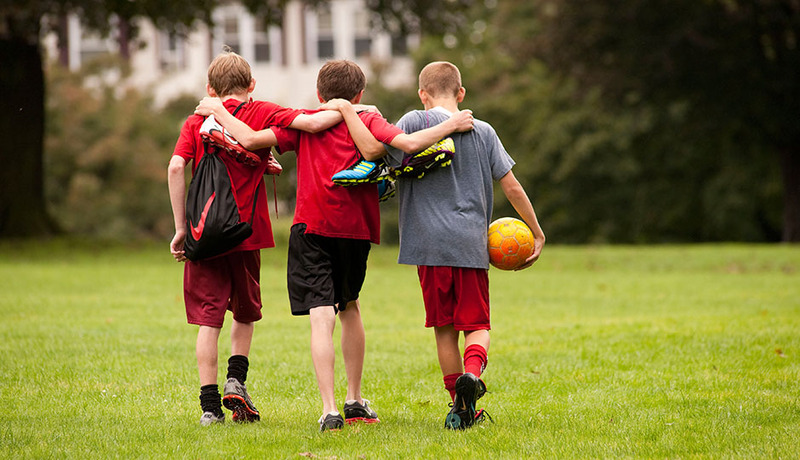 DCD’s well-crafted and balanced curriculum of challenging academics, arts, athletics, and community service ensures that children grow connected, whole, and strong. In all grades, children build their self-confidence through participation in a variety of performance and public speaking opportunities. Encouraged to think creatively, use their voices, and pursue their curiosities, DCD students are instilled with a lifelong love of learning and are prepared for success—in school and in life. Now in its 112th year, Dedham Country Day is a private co-educational day school for children in pre-kindergarten through grade 8, located on 17 bucolic acres just minutes from Route 128 in Dedham. In person visits are encouraged and always welcome. Visit dedhamcountryday.org. Founded in 1784, Derby Academy is one of the oldest co-educational day schools in the country for pre-kindergarten through grade 8. Its mission remains the same now as 200 years ago: to improve both mind and heart. Dedicated faculty and small classes support a balanced curriculum of academics, arts, athletics, and community service. Beginning in Primary and Lower School, students begin cross-curricular themed IPC units (The International Primary Curriculum), study plant life in Derby’s garden, learn Spanish, take physical education and library classes, travel on enrichment field trips and develop daily classroom practices through The Responsive Classroom social curriculum. 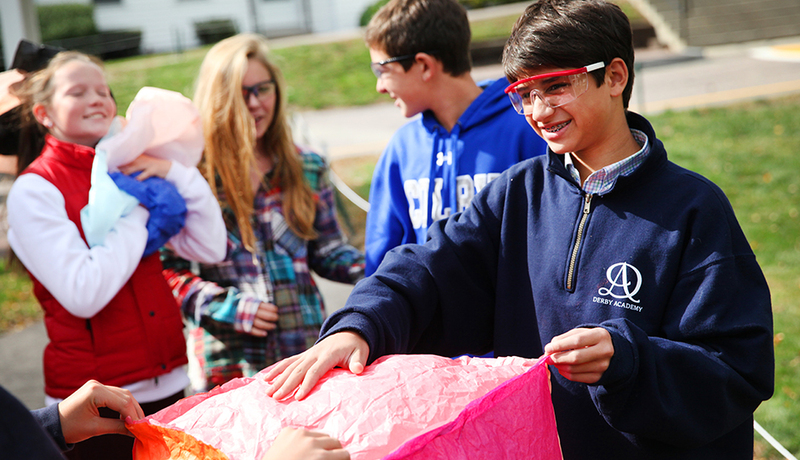 In the Middle and Upper School, a faculty advisory program, outdoor education trips, and peer mentor program encourage teamwork and positive communication. Middle Schoolers enjoy engineering design classes, foreign language options, interscholastic sports, and 1:1 iPad program. Derby prepares Upper Schoolers for the rigors of secondary school with challenging academics, dynamic arts electives, and a developed public speaking program. Derby’s curriculum has evolved to stay in the forefront of elementary education, and its state-of-the-art Healey Center for Innovation opens the door to a new era of design thinking. Come to the 27-acre campus today to see if Derby is right for your family. Visit derbyacademy.org. An innovative, independent school on the South Shore of Boston, Inly School inspires students to be creative thinkers and self-motivated, lifelong learners. Inly’s toddler, preschool, full-day kindergarten, elementary, and middle school programs blend proven Montessori curriculum and educational best practices at all levels. Hands-on, experiential learning; world languages for all ages; and an arts-rich, integrated, rigorous academic curriculum prepare Inly students to be forward-thinking global citizens who succeed at their choice of secondary schools—and in real life. With the fall opening of the da Vinci Studio, Inly will prepare students of today for the opportunities of tomorrow. This 14,000 sq. ft. space will be the hub for robotics, 3D printing, video creation, graphic design, and photography—providing the ideal environment to foster creativity and imagination. The tangible benefits of an Inly education include a deep understanding of academics, hands-on skills, and a discerning ability to manage time. The intangible benefits—confidence, independence, and social and interpersonal responsibilities—separate Inly grads from their peers and define the Inly difference. Discover the difference yourself at inlyschool.org. offering a distinctive curriculum rooted in the rigor and creativity of French and American academic traditions. The school’s nurturing and challenging environment equips students to speak and think in at least two languages fluently—opening their minds to the people, countries, and societies far different from their own. Parents and children develop a personal relationship with teachers, leading to a depth and quality of instruction that enable each student to flourish. At the high school level, ISB is the only school in New England to offer a French Baccalaureate Program (taught in French) and an International Baccalaureate Diploma Program (taught in English). Both offer students exceptional opportunities to differentiate themselves to college admissions. Fostering this international perspective, the ISB’s 630 students of over 48 nationalities share classes and extracurricular activities. Bilingual students can take courses in either English or French, thus maintaining a balanced bilingual curriculum to prepare them for wherever their dreams may lead them. Visit isbos.org. 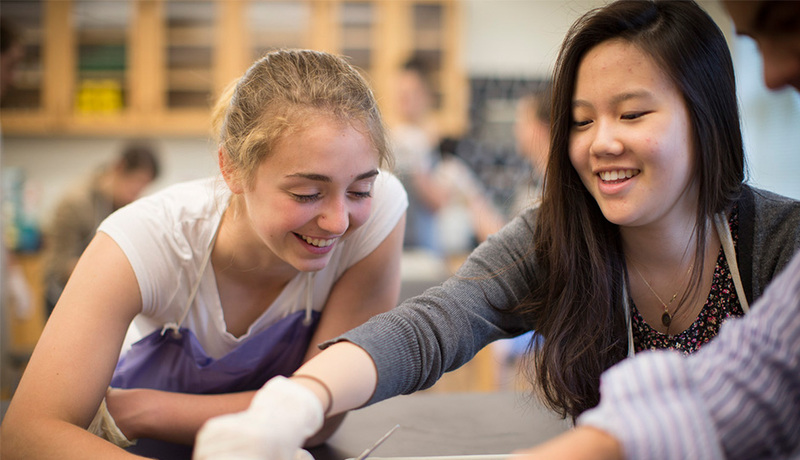 Since 1880, Newton Country Day School of the Sacred Heart has educated girls to be thoughtful, effective, and compassionate leaders in a global society. The school’s mission is rooted in the vision of St. Madeleine Sophie Barat, who in 1800 established schools of the Sacred Heart to prepare women with the courage and confidence to transform the world. The school offers a program for young women in grades 5 through 12, with courses through the AP level. A dedicated faculty promotes a dynamic learning atmosphere that encourages each girl to discover and cultivate her gifts and character. Through the international network of Sacred Heart Schools, students take advantage of academic exchanges across five continents, developing a school-wide global perspective. Academic rigor, performing and visual arts, and competitive athletics build a vibrant school community. Prayer and social justice are essential elements that enrich each student’s experience. Girls are accepted to the most competitive colleges and universities with the goal of living meaningful and joyous lives. In an environment where every girl is known and loved, the school creates a foundation for a life of faith, integrity, and service. For more information, please visit newtoncountryday.org. 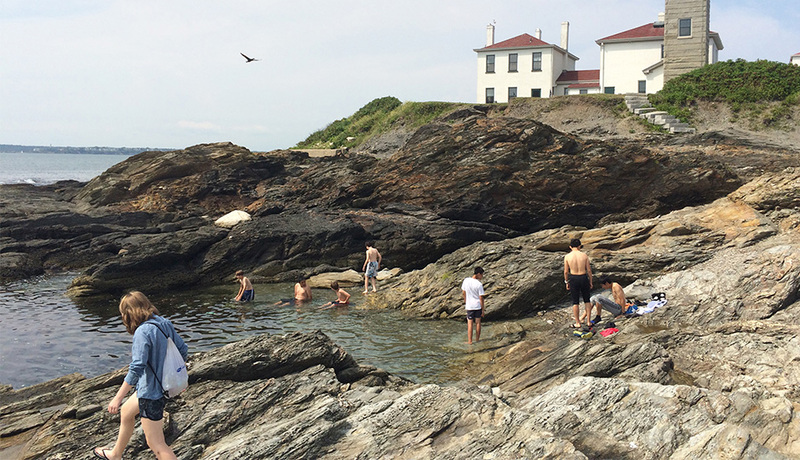 Located on a stunning 500-acre campus on Rhode Island’s Narragansett Bay, seven miles from Newport, and with full use of Portsmouth Abbey School’s facilities, the Portsmouth Abbey Summer Program introduces students in grades 7 through 10 to the perfect mix of academics and fun, shared with peers from all over the world, that provides a good head start on the next school year. This year’s program will take place Sunday, June 26, to Saturday, July 23. With locations in Newton and Lincoln, The Teddy Bear Club offers one of Greater Boston’s premier preschool and kindergarten programs. Widely recognized for its unique bilingual French/English curriculum, TBC combines the best of both American and European teaching philosophies. 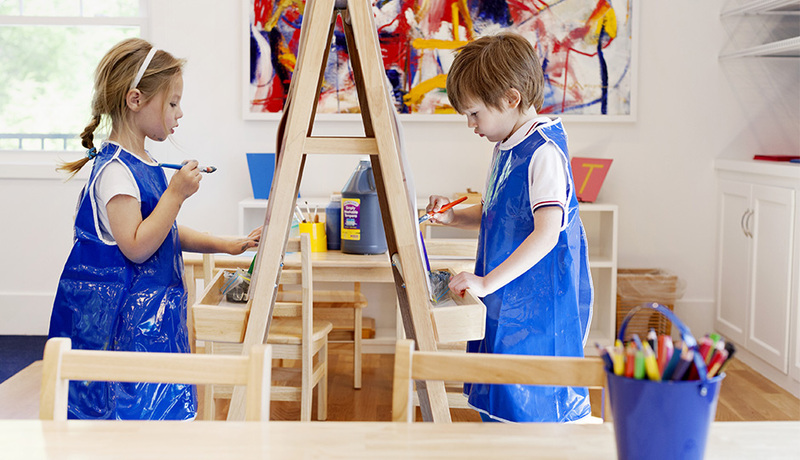 TBC aims to stimulate children’s natural sense of discovery through a broad range of themes and activities. As part of the science curriculum, preschoolers might try to predict what happens when they touch a tesla coil, and after the hair-raising experience, draw a picture to record their findings. TBC’s social studies program turns the Pre-K class into world travelers, exploring the art, culture, and geography of a different country every month through hands-on projects and parent presentations. TBC’s toddlers draw inspiration from the school’s lush gardens by painting landscapes on the expansive patio area, while the playgrounds, sandbox, and grassy open space offer ample opportunities to simply enjoy the sunshine! Conversational French is seamlessly integrated with English, enabling the children to benefit from their natural gift for language acquisition. For many students this is a first exposure to French, while others are native speakers. Above all, The Teddy Bear Club strives to build students’ self-esteem, foster friendships, and inspire a lifelong love of learning. Visit teddybearclub.org. 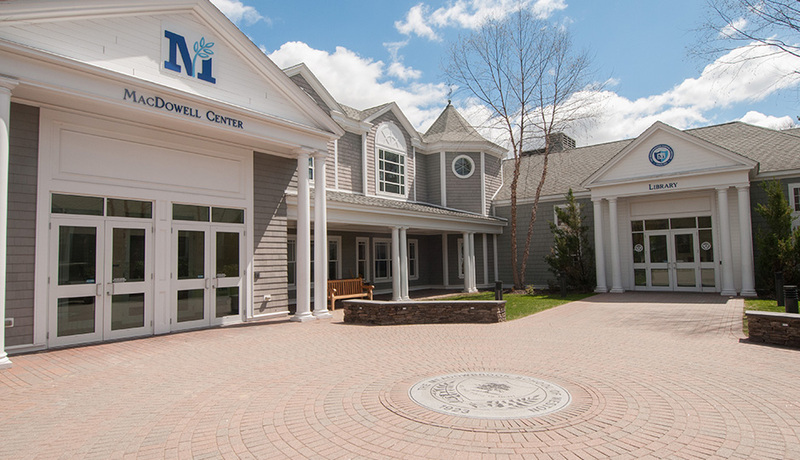 Located on a beautiful 26-acre campus, The Meadowbrook School is a co-educational independent day school for students in grades junior kindergarten through 8. By fostering in children the sustainable joy of seeking knowledge, facing challenge and pushing limits, Meadowbrook inspires children to live with purpose, learn with passion, and lead by practice. At Meadowbrook, the mission is to know, love, challenge, and nurture every child. Since its founding in 1923, the school has provided a program that emphasizes fundamental skills and promotes creativity within the framework of a broad, challenging curriculum. 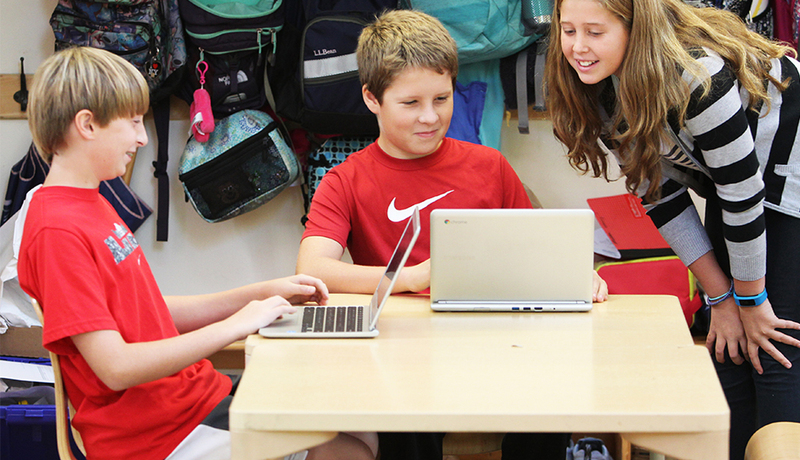 A nationally recognized STEAM school, Meadowbrook uses technology to enhance learning. A rigorous academic day is supplemented by robust arts and athletics programs. Community is a core value. Families are actively engaged in their children’s education—volunteering on committees, attending athletic games, serving on the board, and helping in the classroom. This is a close-knit community where the school works in partnership with parents to bring out the best in each child. Interested families are encouraged to schedule a tour. Call 781.894.1193 or visit meadowbrook-ma.org. 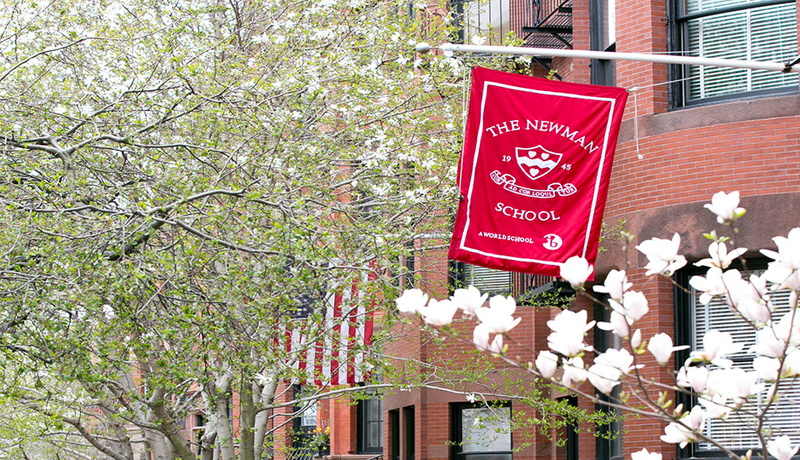 Offering a world of learning in Boston’s Back Bay, The Newman School is a private high school providing students the right balance of a stimulating and challenging curriculum in a uniquely supportive and encouraging environment. Newman offers both the globally recognized, rigorous International Baccalaureate (IB) Program, as well as traditional liberal arts studies, preparing all of its students to meet the academic demands of college. Students have the option of pursuing the entire IB Diploma or those portions of it that meet their needs and aspirations. Newman’s IB graduates have attended schools such as Columbia, Oberlin, University of Virginia, Duke, and the University of Michigan. Woven deeply into the school’s culture is Newman’s “Heart Speaks to Heart” motto. Teachers and students form strong, meaningful bonds from which confidence, self-discovery, respect, and success blossom. Nestled in the center of one of Boston’s finest neighborhoods, the city becomes the classroom where students study at the Boston Public Library, enjoy rowing crew on the Charles River, and playing soccer on the esplanade, or just meeting for lunch on Newbury Street. Rich in diversity, Newman’s student body is comprised of a wide range of cultures and socio-economic backgrounds. Visit newmanboston.org. Waldorf High School of Massachusetts Bay (WHS) is a private school located in Belmont for grades 9 through 12, just minutes from downtown Boston. At the heart of WHS, are the collaborative relationships forged between students and faculty focused on critical and creative thinking. The Waldorf model encourages student learning through a variety of multisensory approaches, both in the classroom and in the real world. Access to knowledge through art, music, and travel in addition to engaging, traditional academic studies and analytical discussions, provide students with an unlimited canvas on which to sketch their identities and envision their futures. Along with a rigorous curriculum, students are given the opportunity to participate in many extracurricular activities such as internships, foreign exchange, student governance, Model UN, sports, music, and drama. WHS alumni attend competitive four-year colleges, with students being accepted into 200+ different colleges over the past ten years. Waldorf students graduate well prepared for further study and are enriched with lifelong friendships, unforgettable experiences, and a drive to impact the world around them. 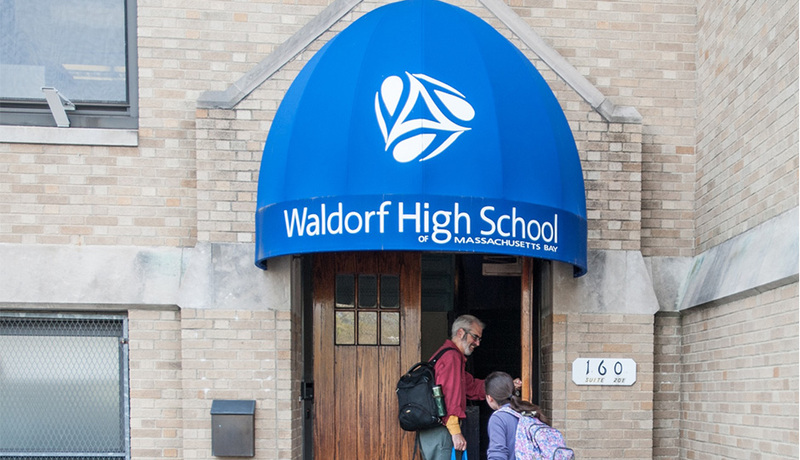 Visit waldorfhighschool.org or call 617.489.6600 for more information. 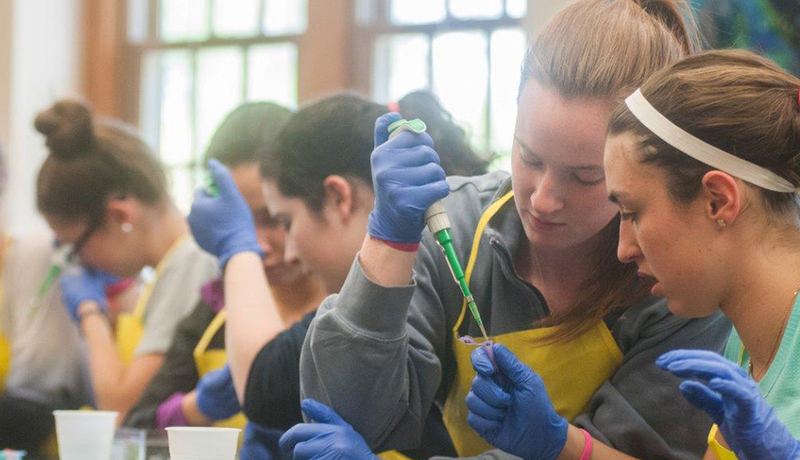 Since 1834, Worcester Academy has been making life-changing experiences real for students, families, and the community. From the hilltop vantage point in a historic Worcester neighborhood, the school sees things a little differently than most independent schools. While offering a rigorous curriculum centered on academic achievement and personal empowerment, the Academy moves students beyond the expected through a strong values-driven base, a knack for innovation, and an imaginative faculty. Small class sizes at all levels grades 6 through 12 keep kids engaged and allow for real learning and individualized attention. Engagement is bolstered by longer class periods, and collaborative projects that fuel individual and group discovery. 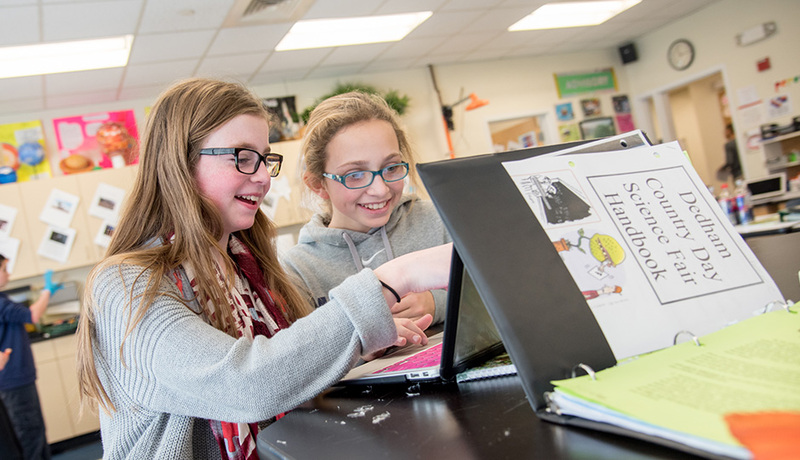 A long-standing and well-integrated 1:1 laptop program incorporates the use of current technologies, as well as the latest innovations in teaching practices. The Academy’s great teachers ignite imagination by designing authentic learning opportunities. Because of their flexibility, WA faculty members encourage students to drive their learning through inquiry and real world problems. Their students step up! They take the lead and ultimately understand how initiative pays off in the adult world. Visit worcesteracademy.org to see how they can make learning real for your child. 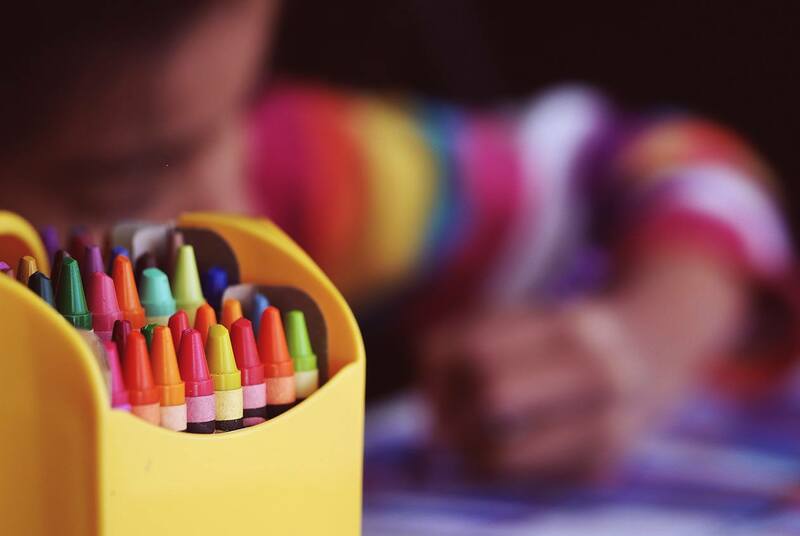 After reading about these schools, you may have a better understanding of how to identify the perfect place for your child. Taking next steps to visit their websites and tour the campuses are sure ways to find the right school for your son or daughter. Visit worcesteracademy.org for more information.